If you are having a busy day and it’s sunny outside why not made yourself a salad. It’s healthy, delicious, simple, and convenient! My favourite is the smoked salmon salad. All you need is: -mixed lettuce (looks better for presentation) -70 g of smoked salmon -sliced onions -a tiny squeeze of mayo (optional) First add the lettuce on the bottom. Then add the onions. 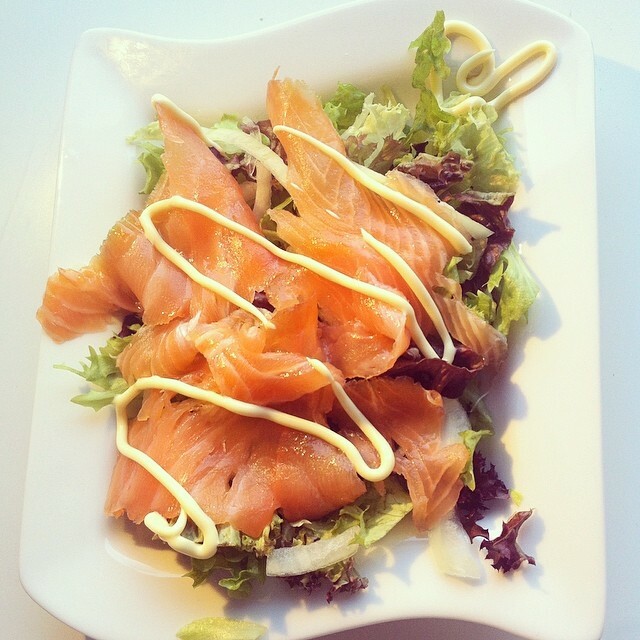 Top it with smoked salmon, you can use more or less depending on how much you eat and lastly decorate it with mayo.